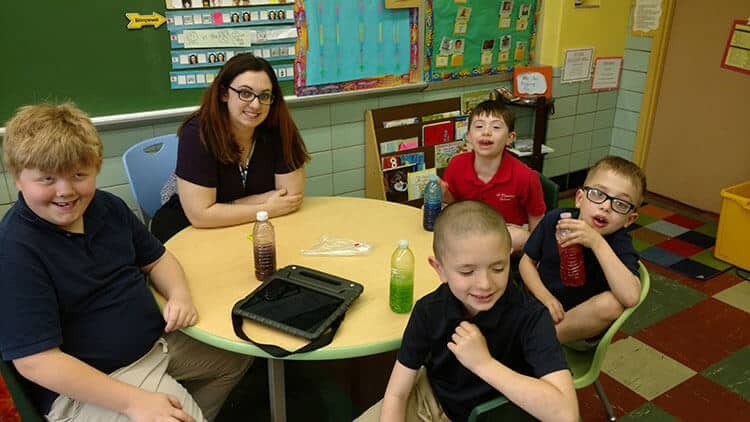 St. Anthony School Programs offers special education for our students at approximately 25 percent of the cost of that education. St. Anthony School Programs offers financial aid to further reduce the tuition cost to families in need. Applications for financial aid from St. Anthony School Programs and financial aid from the Diocese of Pittsburgh’s Scholastic Opportunity Scholarship Fund are available upon request. Scholarship money comes from the EITC Tax Program, which allows qualifying PA businesses to take a dollar for dollar tax credit to support St. Anthony School Programs. If your company would like more information on participating in this program please see the information under the giving section of our website. For tuition rates and scholarship information, please contact Amy Clifton at 844-782-5437.